Factory work doesn’t have to be back-breaking. Labour-saving lifting equipment. 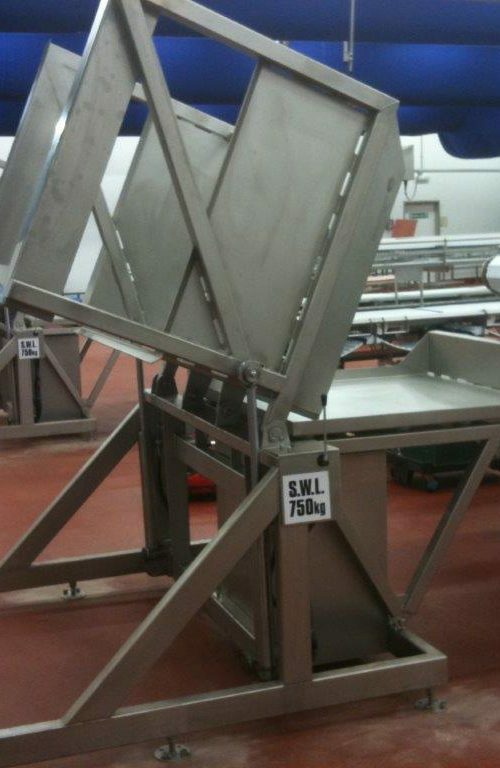 Save your energy with our range of high-quality, food grade safe lifting equipment. 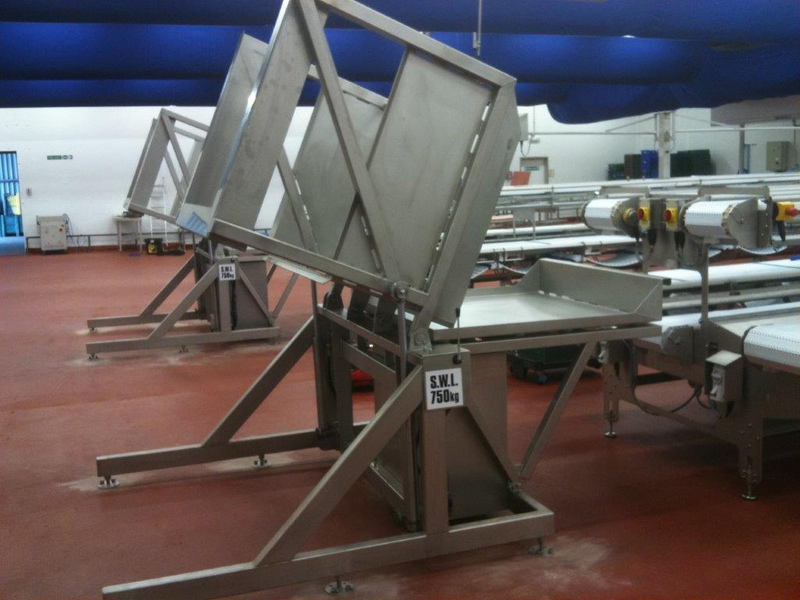 We fabricate a range of lifting equipment to suit a variety of sites and industries. Our equipment has assisted countless factories across the UK to enjoy increased productivity through labour-saving designs. We offer turnkey services with our lifting equipment, from design, through to fabrication, installation and additional ongoing maintenance and support. 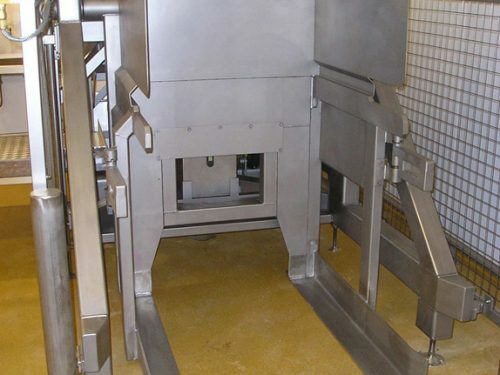 Our lift and tip systems can be hydraulic or pneumatically operated and are made for heavy duty, bulk movement of materials and substances. 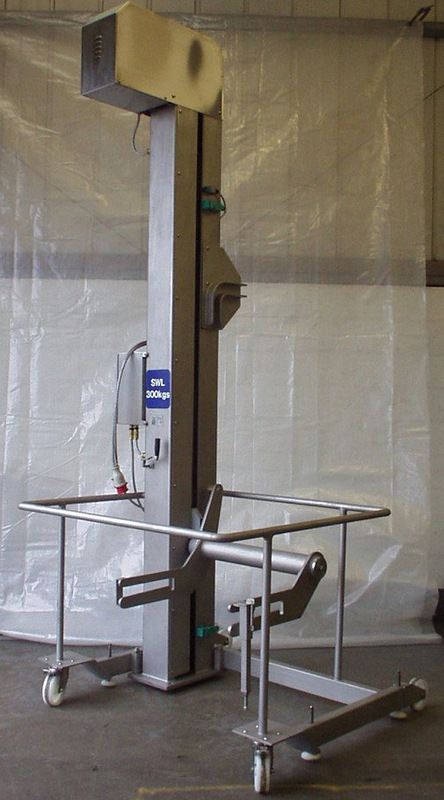 This type of lifting device has a 1000-3000 KG lift capacity and can be fully automated with electrical interfaces to other equipment. 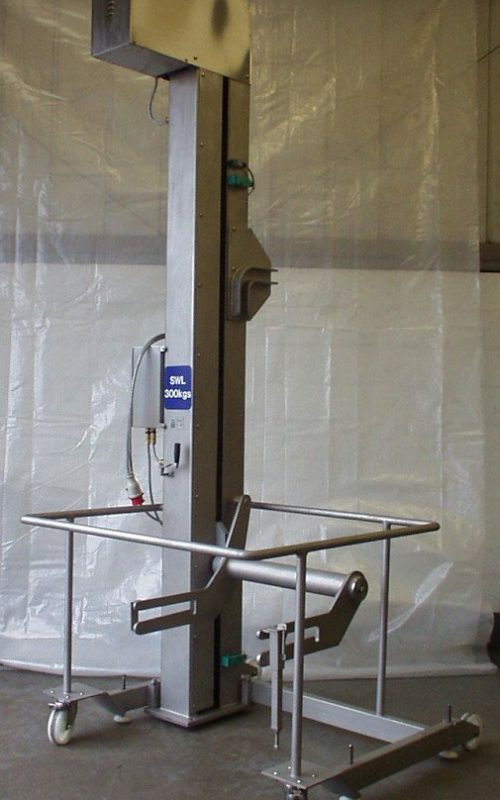 Column hoists are essential for consistently smooth, timely operations in any production environment. 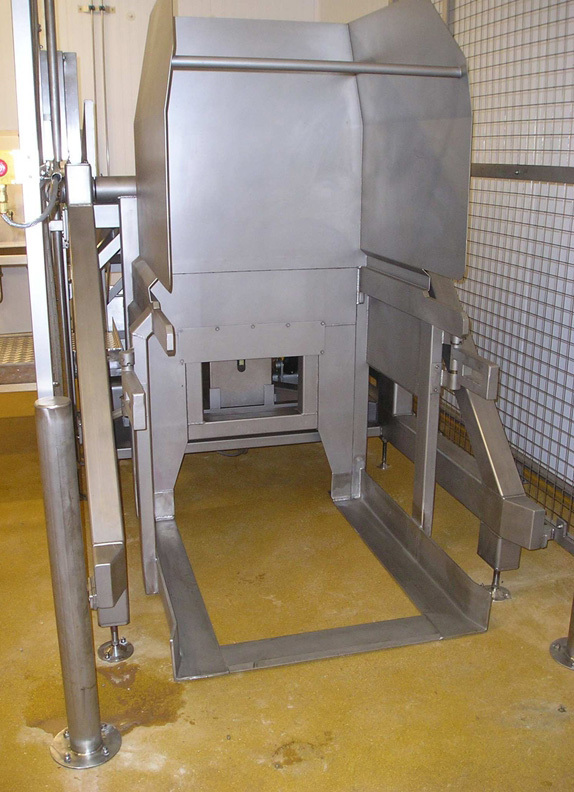 Our column hoists are designed for loads between 200 KG and 1000 KG. 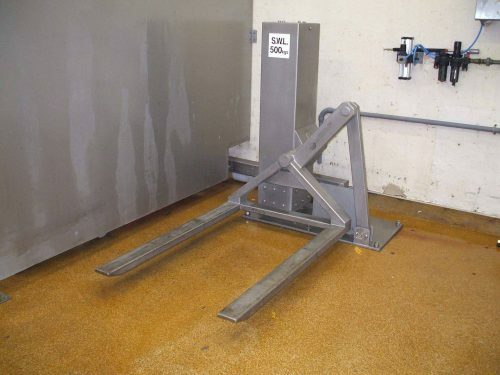 Column hoists are very low-maintenance, which makes them exceptionally cost-effective. Bin tippers are designed for easy cleaning and increased convenience. 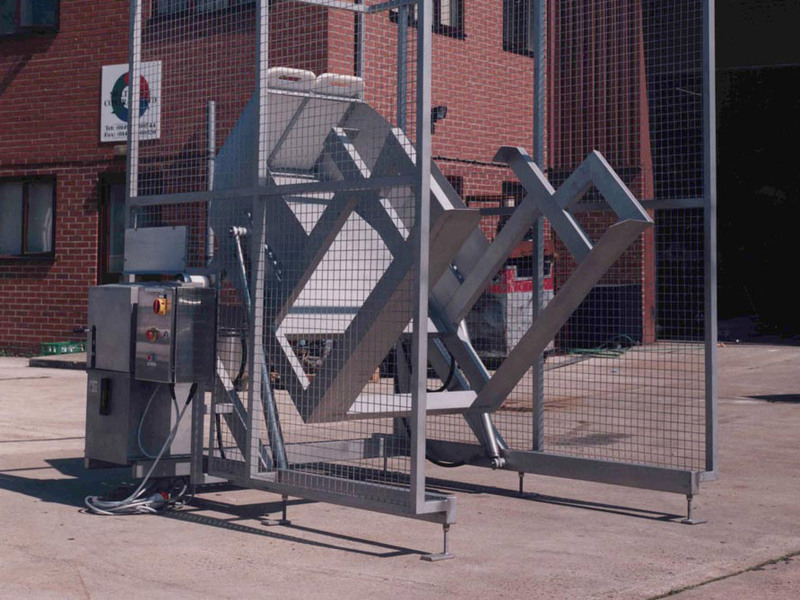 Our bin tippers can be manufactured to suit a variety of bins in a range of dimensions. 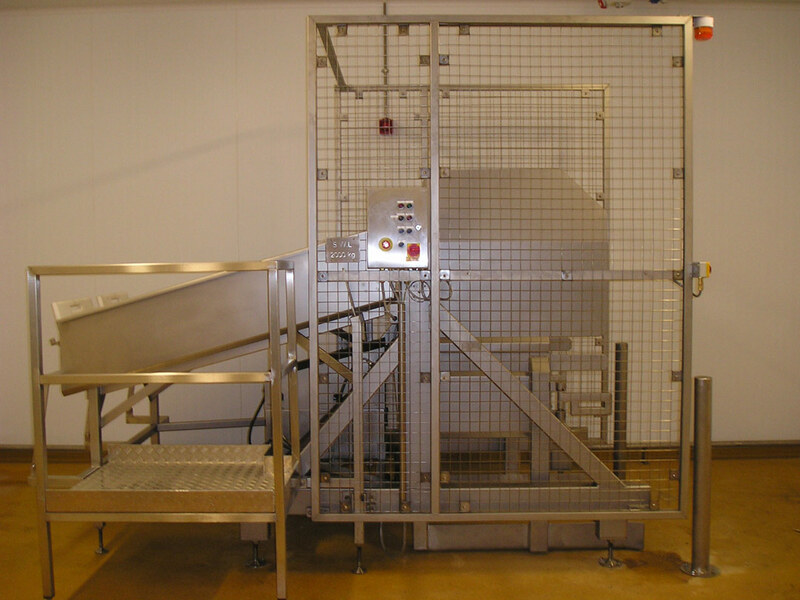 The bin can be lifted and tipped through to ninety degrees to allow for the washing down of excess product or residue substances. Reel lifters are designed for the effortless transfer of heavy, vertically placed reels from their pallets, to the desired horizontal position. Our reel lifters can be hand or battery operated, and set upon fixed or swivel castors for increased versatility.